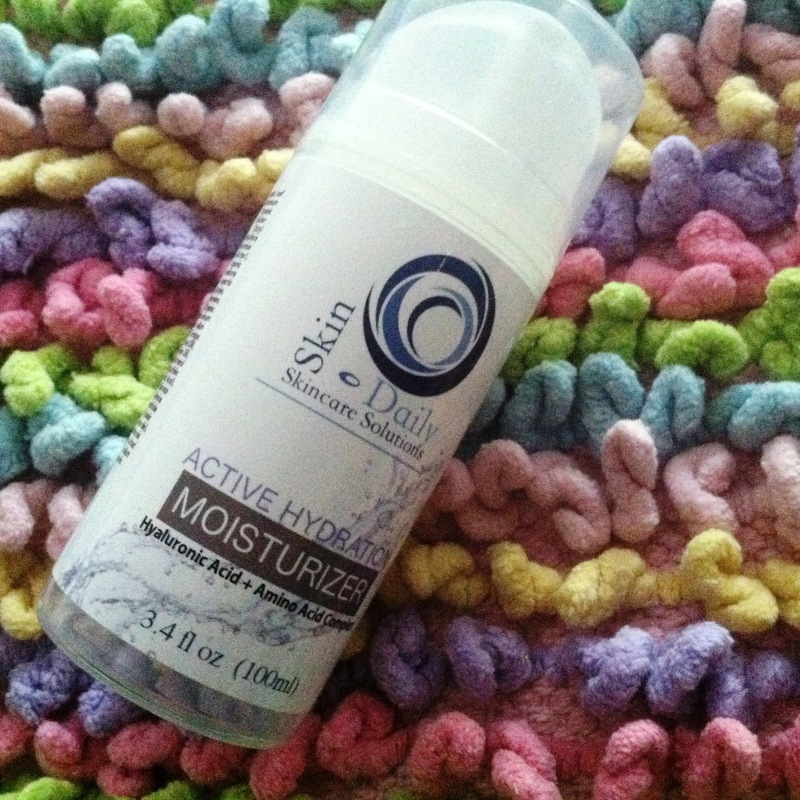 Skin Daily Skin Care Solutions: Active Hydration Moisturizer is truly my current favorite moisturizer cream. I love how amazing my skin feels after I use it. 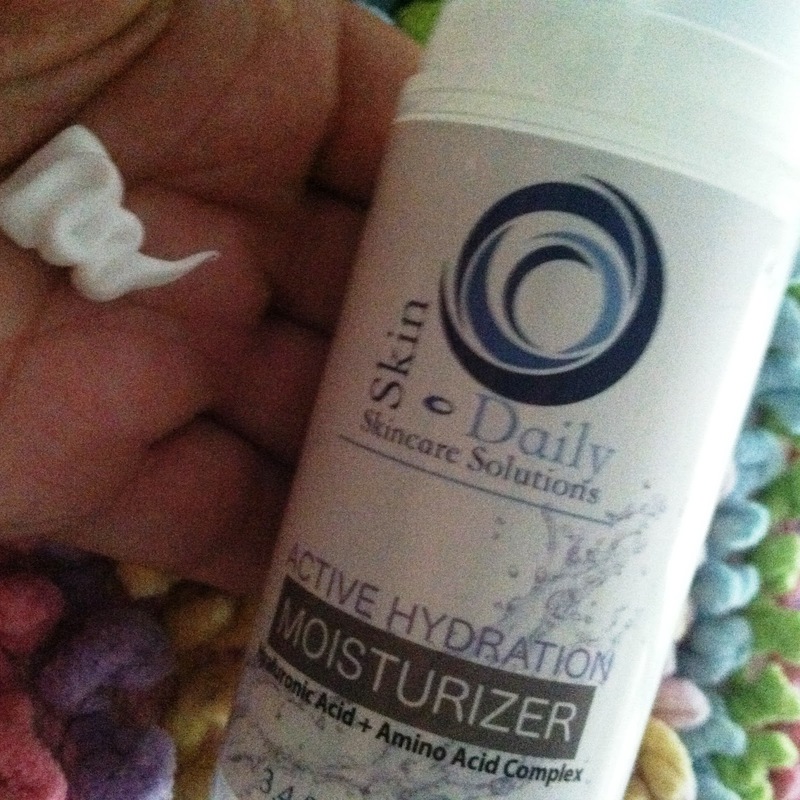 It's been about a week I have been apply the Active Hydration Moisturizer to my face. I wondered if I would break out because it goes on very easily and my skin was dewy afterward. I loved the feeling of my soft, moist skin. No dry patches but that made me think I would have a break out. I don't break out often but sometimes will get an occasional pimple here or there if my skin is oily. So far, no acne, no dry patches, no oily patches, just soft, subtle skin that reminds me of when I was younger. It doesn't take much either. I pump a small amount three times for three separate areas of my face, work it in a circular motion and that's it. I have been using it in the morning and at night. It glides over my skin and feels light. Like I am not wearing anything on my face. The anti-aging moisturizer contains a blend of amino acids, hyaluronic acid, panthenol, MSM, rosehip oil, and multiple botanical antioxidants such as palm oil. It is well priced at only $16.97 a bottle. The last moisturizer I loved this much cost over $120.00. It sounds like a great moisturizer. Thanks for the review.